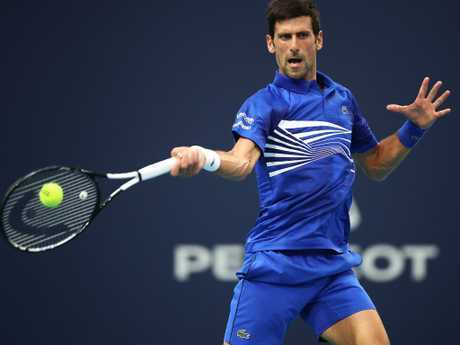 NOVAK Djokovic has conceded his off-court distractions played a part in his shock round-of-16 exit at the hands of Roberto Bautista Agut at the Miami Open on Wednesday. The World No.1's pursuit of a record seventh Miami title ended in dramatic fashion as Bautista Agut recovered from a first-set destruction to win 1-6 7-5 6-3 and book a place in the quarter-finals. Tennis commentators were stunned at Djokovic's struggles after motoring through the opening set. The Serb star went against his set routines to hold his press conference immediately after the loss - and he had plenty to say. The ATP Player Council president even admitted the turbulent start to 2019, which saw former ATP Tour chief executive Chris Kermode sacked - and many commentators claim Djokovic was a key player in the axing - was getting to him. "Just way too many things off the court. I guess that affected me a little bit on the court,' Djokovic said straight after his defeat. "I didn't feel my best. There is always a lot happening in my life." Novak Djokovic needs to get his house in order. Djokovic said last week he is still getting along with Roger Federer and Rafael Nadal, despite finding himself in the firing line after advocating for the dismissal of Kermode. 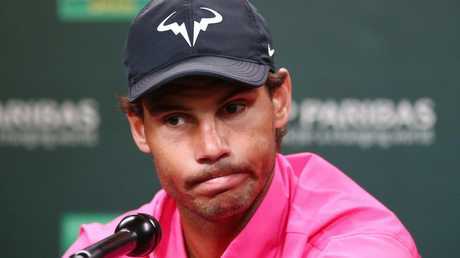 Kermode was ousted in controversial fashion at Indian Wells after a vote and Federer and Nadal ripped into top-ranked Djokovic for failing to contact them over the decision. Federer and Nadal had both been in Kermode's corner and did not see the need for change at the top of the game. Djokovic last week played down any notion of a rift with Federer and Nadal, saying he welcomed their views on the controversial ousting of Kermode, while Federer said he would not "chase" Djokovic for an answer. "We welcome them as well as anyone else who wants to join the political discussions," Djokovic said of the views of his two fellow legends. "The player council is only part of the structure. We are not part of the board or deciding anything. We are in consultation and collaboration with player board representatives. "Federer and Nadal have been icons of our sport for so many years and their opinions are extremely important to everyone. If they want to be active and part of it, either officially or unofficially, I think it's only positive for us. "I saw Roger today. We were cutting the ribbon at the opening of the centre court (in Miami). "We had a small chat but there was no time to talk about the political stuff. Hopefully we will have time in the next few days to go through some things. "It's not necessary for people to create any tensions or divisions between us. On the contrary, I have a good relationship with both of them. We always respected each other. We are rivals of course so it's hard to be friends." 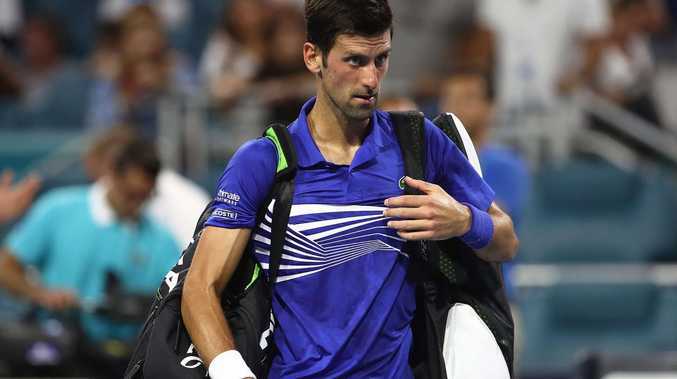 It was all just a bit much for Djokovic, who suffered his second loss to Spaniard Bautista Agut this year. It was also the first time Djokovic has ever lost in Miami after winning the first set. He was previously a perfect 41-0 after winning the first set in Miami. It was difficult to see Djokovic's collapse coming as he raced to a 5-0 lead after 25 minutes. He returned a completely different player and at the end of an absorbing two hours and 29 minutes, it was the No. 22 seed who will now meet defending champion John Isner for a place in the semi-finals. "Of course this is very special for me," said Bautista Agut. "I just tried to play aggressive." "He is a solid player but I shouldn't have lost this match, I had way too many wasted opportunities," he said.